Our office entrance is on the left. The right door leads to Dr. Rabjohn’s office (RBI-Rabjohn Behavioral Institute). For full size, please click on the pictures. 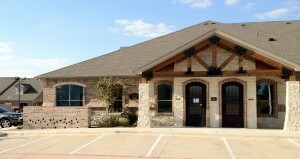 The office is located in the Broad Park Medical Office Complex off Regency. 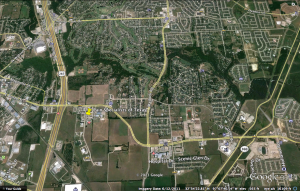 The office is located only 1/4 mile east of SH 287 and 1.1 miles west of Methodist Hospital. 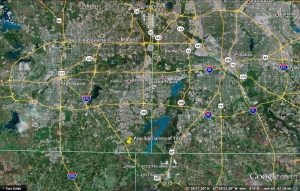 The office is located south of the mid-cities in Mansfield. 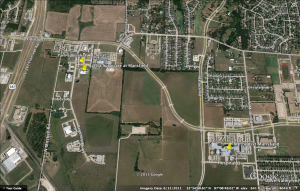 The map shows the location of Methodist Mansfield Hospital which is about 1.1 miles east on Broad Street. 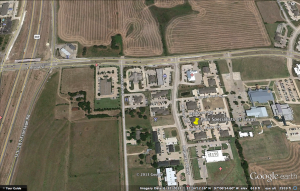 The Baylor Surgicare at Mansfield outpatient center is located across the parking lot from our office. Click on the picture for full size.